The Halloween horror of Henry VII…. The people of Pembroke are proud of Henry VII, and are raising money for an 8′ (rather unflattering) statue of him – it’s about as complimentary as poor old Richard’s armless statue at Middleham. But, unlike Richard, it is highly suitable for a Halloween shock! Anyway, this 8′ giant prompted me to ponder how big a Halloween statue the downtrodden people of England would have contributed—of their own volition—to a similar acknowledgement of the first Tudor king. If Henry had put the screws on, it would be 20′ tall at least, looming over London like an evil spirit, casting its spooky shadow over everyone’s threadbare purse. However, it we’re talking voluntary donations… Hmm. It has been suggested that perhaps a 2″ statue would result. My Yorkist imagination ran riot, of course, as witness the truly terrifying illustration below. Can you imagine anything more chilling….? Whilst researching my new biography of Henry III, a tantalising thought began to emerge from bits of evidence. A long reign ends but how did it begin? Earlier this month, King Bhumipol (Rama IX) of Thailand died after a seventy year reign, a tenure only approached once in England, another three times since the Union of Crowns and one notable case in France. This article explains the circumstances in which he originally succeeded. 15th-century ‘love’ ring found near Harrogate…. This beautiful ‘love’ ring was dug up in a field near Harrogate. The article suggests that it is 15th century and therefore Tudor, but I cannot help thinking it is more likely to be Plantagenet, and if in Yorkshire, then maybe connected to the House of York. Oh, I know, wishful thinking. But why not? It is as likely as the ring being Tudor. The illustration is from the article. And well done Lee Rossiter for finding such a treasure! 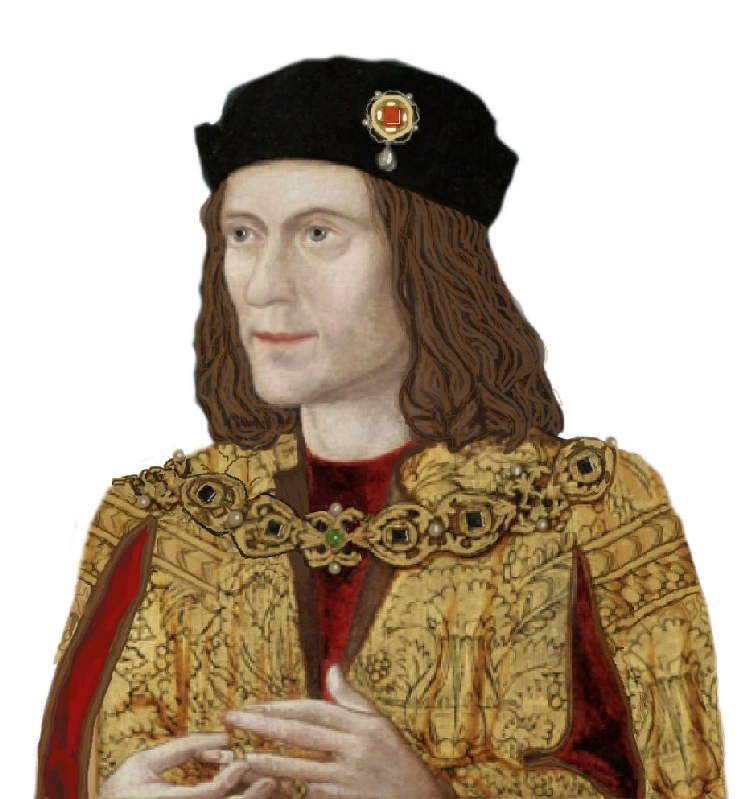 Back in April we reported that Bridport had recently discovered that in 1483 Richard III had visited the city on his way to Exeter to crush Buckingham’s rebellion and decided to commemorate this with a stone memorial. We are pleased to reveal that the initiative was successful and that the memorial will be revealed to the public on the 533rd anniversary of the event on Saturday, 5th November, at 2pm by the East Bridge. Sir Philip Williams, the High Sheriff of Dorset, and John Collingwood, the Bridport Town Crier, will be attending the unveiling. The memorial was funded with donations from members of the public in the UK and abroad. It has been crafted by Master Stone Masons Christine and Karl Dixon from white Portland stone and, as well as containing relevant details, also depicts Richard’s white boar and his personal motto “Loyaulté me lie”. It will be placed beside the River Asker and facing the oriel window, which is one of the few remnants of the Priory of St John the Baptist where Richard is thought to have lodged. You can find out more details about the initiative and Richard’s visit to Bridport here. The year is 1817. George III is quite elderly and insane with only three years of his long reign remaining but he still has several sons, many of whom have no legitimate issue. The exception is the Prince of Wales, another George who is serving as his father’s Regent again, this time on a permanent basis. He is separated from his wife but their daughter, Charlotte, is married to Leopold of Saxe-Coburg-Saalfeld. As autumn begins, Charlotte’s second pregnancy approaches its conclusion and the succession looks secure. On November 5, her son is stillborn and she died early the next day. Her “midwife” had been Sir Richard Croft, of the Mortimer’s Cross family, who shot himself the following February. Without this tragedy, Victoria might not have been conceived and could well not have succeeded. Similarly, Lady Flora Rawdon-Hastings, at the centre of an apparent scandal that became a tragedy in 1839 , was descended from the Dukes of Clarence and Buckingham as well as William Lord Hastings, as we showed last month.